Home/ Analysis/Do Investors in the Public Markets Really Know How to Value Cryptocurrency Companies? It’s impossible to know whether it’s daytraders who are chart driven or actual HIVE shareholders selling their stock ahead of the locked-up December shares—trying to lock in a profit. Who can blame them, as their stock only cost 30 cents and now the stock is more than a 10-bagger for them. Earlier this month, the shorts were bailed out of a short squeeze when HIVE management was able to convince the exchange to make an early release of some escrow stock. No doubt the shorters (and quite frankly, much of the Vancouver investment community) are betting HIVE will go down due to the conclusions of a critical report of HIVE that has been circulating in the Vancouver investment community for weeks now. I will give a quick summary of the seven-page report: HIVE is massively over-valued and is only worth 25 to 50 cents. The data centers when completed will only generate $300K USD worth of Ethereum a month and will be trading at an insane 400 price-to-earnings ratio in 2018. Now I before I begin my demolition of this report (and you knew I was going there) there are many in Vancouver who totally buy into their message. I have had many meetings in Vancouver over the last few months with many promoters and investors. To say that many in the investment community are skeptical of cryptocurrency deals would be an understatement. So How Much Money is HIVE Will Be Making from Those Data Centres? 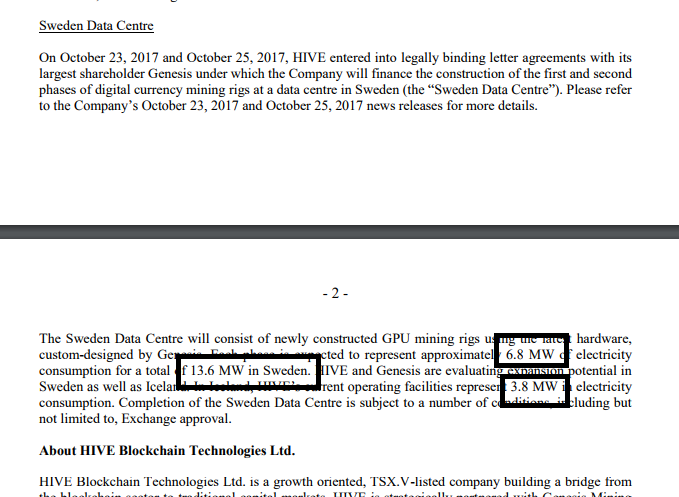 HIVE management has not released their Ethereum mining capacity BUT in a November 14th release (on Sedar) they disclosed that the totally power output of their mining centres was about 17.4 megawatts. I’m going to assume that only 15 megawatts can be used for mining and the other 2.4 megawatts are needed to turn on the lights and make coffee for the staff. Knowing that their mining centres consume 15 megawatts we can make some very educated guesses about their mining output. First, we assume that HIVE is equipping their data centres with the most efficient mining rigs on the market. That would the Radeon 580 with 24 MH/s of hashing with 136 watts consumption. Divide watt consumption by hashing power and you get a ratio of 5.7 watts per megahertz. Times that by a million and you get 5.7 megawatts and one terahertz. 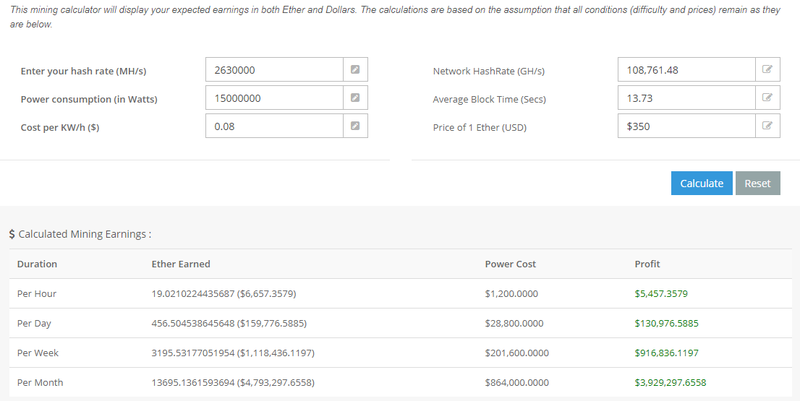 This mining calculator show after paying for power at a VERY conservative 8 cents per kilowatt hour, HIVE’s data centres are mining $3.93 million of Ethereum a month, or an annual rate of $47.2 million ($60.4 million CAD). But remember, that is the worst-case scenario for 2018. I don’t think the best-case scenario is ridiculously optimistic. Over the last six months, I’ve seen Bitcoin go from $2000 to $8000, so a $1000 price for Ethereum in fourth quarter 2018 is very possible. In the last month Ethereum has moved from below $300 to a high of $375. I also think HIVE tripling their capacity to 60 megawatts is very do-able, the company has only been public for 2 months now and they have 15 megawatts. But let’s go with the mid-case of $261 million CAD revenue for 2018. That means HIVE only adds another 15 megawatts of capacity and the price of Ethereum goes to $700. I have already subtracted the cost of power (at a very conservative 8 cents a kilowatt) so the last major expense would the license fees paid to Genesis. The master service agreement between Genesis and HIVE called for $150K a month in service costs for the centre in Iceland (3.8 megawatts). Scale that up to cover all the data centres and you get $690K per month in services costs or $8.28 million a year ($10.6 million CAD). Let’s take off another $15 million CAD for marketing, salaries, planes rides from Vancouver to Iceland and Sweden and I don’t know, a few cases of real expensive Scotch. I get a rough cash flow estimate of $235 million CAD. According to SEDAR, there are 289,950,000 shares issued*. So Q4 17 cash flow for HIVE could be 80 cents/share annualized. 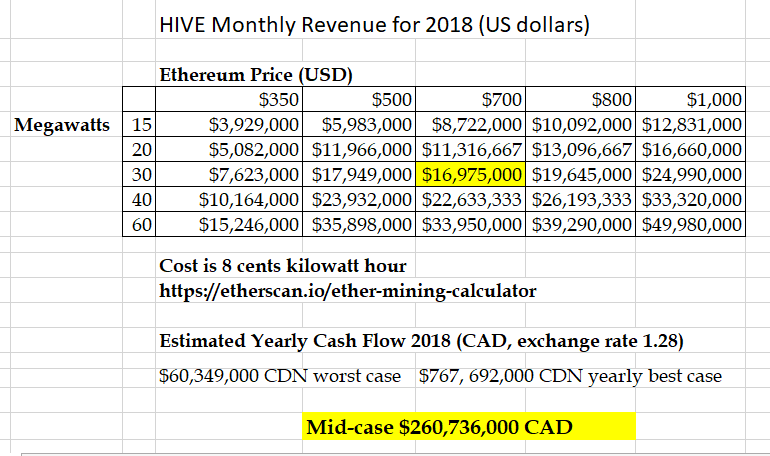 With the current mining capacity of 15 megawatts and Ethereum at $350, HIVE would exit first quarter 2018 with revenue of approximately $12 million or $.04 cents CAD per share, after paying for electricity, licensing fees, and administration costs. Again, that’s worst-case scenario. Today’s share price is $3.00 for a forward-looking 2018 cash flow of 3.75x. What multiple is a high margin business like HIVE worth? I would be comfortable at 7, but after a couple quarters of financials out, I think we could see a 12-15 in a bull market. Simple math puts the stock anywhere from $7-$15 in 2018. So Why the Short Interest? On December 10, 2017, there are 37,830,000 shares (cost basis 30 cents) that will be unlocked and free-trading. It’s the end of the year, people need money for Christmas gifts and with the current share price around $3.00, people stand to make 10x their money. Also HIVE won’t report a full quarter until well into 2018. 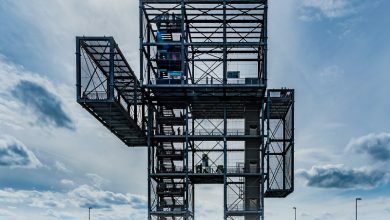 The quarterly report due at the end of November will only include a few weeks operation of just ONE data centre in Iceland. 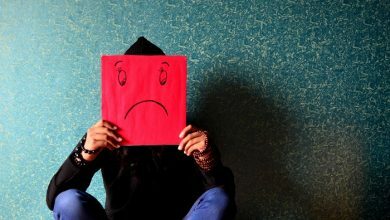 So lots of cheap stock coming + lack of financials from company = selling pressure. Makes sense. But shorting the stock now is still risky. I mean, I’m pretty sure the stock ran to $6.75 on a short squeeze already. And I’m not the only guy out there with a calculator and a spreadsheet. Also, if Ethereum starts to climb in the next month or so (it’s up 20% in the last week already) then I think shorting the stock is really, really risky. One of the big issues here is…nobody believes in the cryptocurrency market; even the HIVE shareholders. This is all new, and everybody who got in early was able to make a lot of money really quickly…and Bitcoin prices have certainly been volatile. 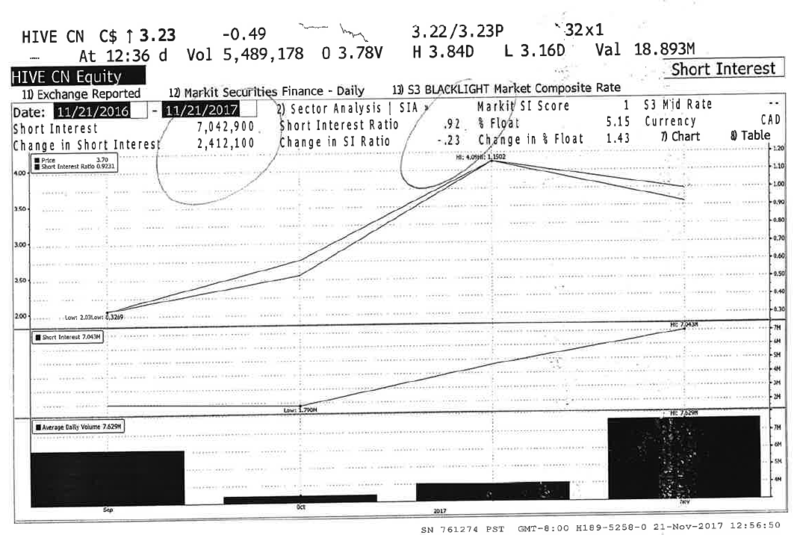 Even those shareholders shorting against the 30 cent financing are risking a buy-in…it already happened in November. But Genesis Mining has put more money into each financing. And nobody knows better than them how much money they’re making. Disclaimer: I own shares of HIVE.